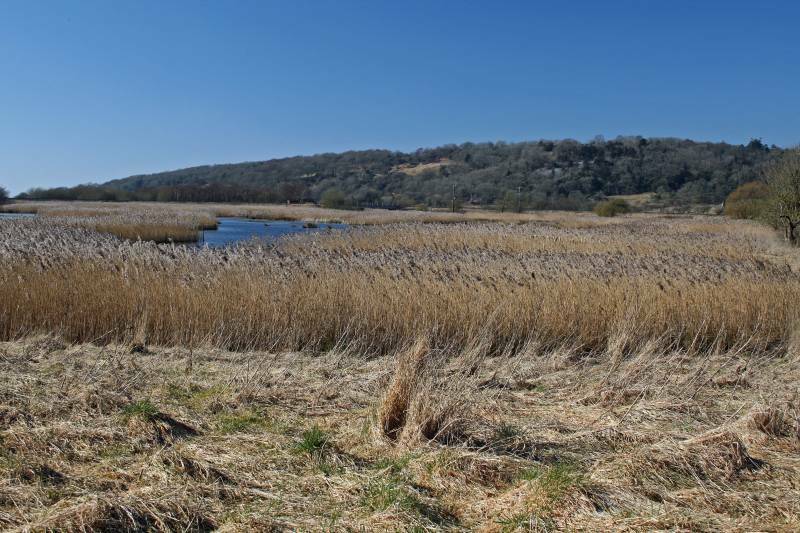 A Round of Leighton Moss including Warton Crag, Hawes Water and Eaves Wood. Route. 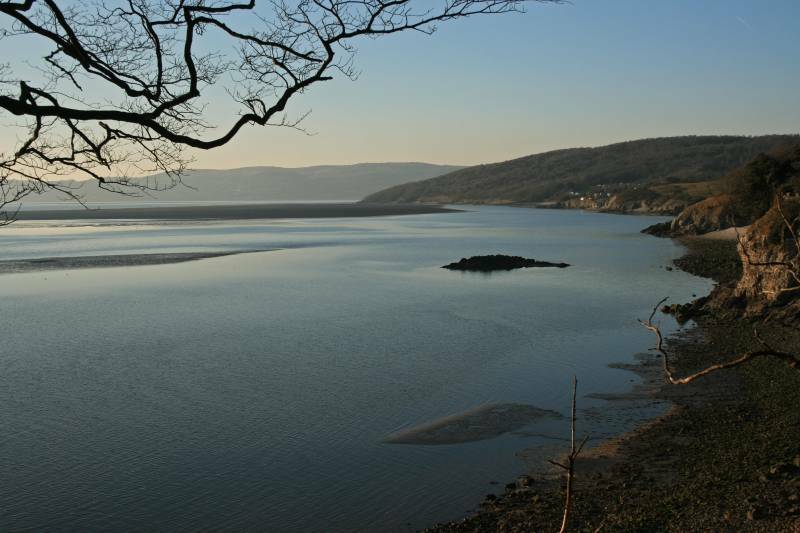 Silverdale - Jenny Brown's Point - Crag Foot - Crag Road - Occupation Road (track) - Warton Crag - Three Brothers - Coach Road/Peter Lane - Summer House Hill - Grisedale - Yealand Storrs - Hawes Water - Red Bridge - Eaves Wood - Elmslack - Silverdale Cove - Silverdale. Notes. I woke this morning with a stinking head cold, I intended going into the high fells but there's nothing worse that sweating your way to the summit, followed by a descent with a runny nose, need I elaborate, to make matters worse it was a beautiful spring morning, I decided to head for Warton Crag, take the day a step at a time. 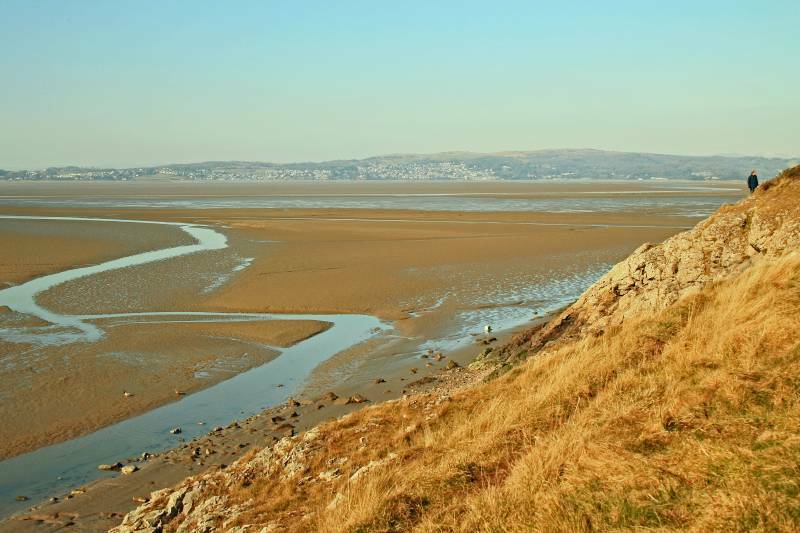 From Silverdale I headed south via cliff path and muddy beach, crossing Jack Scout, rounding Jenny Brown's Point, striding out over wonderful close cropped sea washed turf en route to Crag Foot. 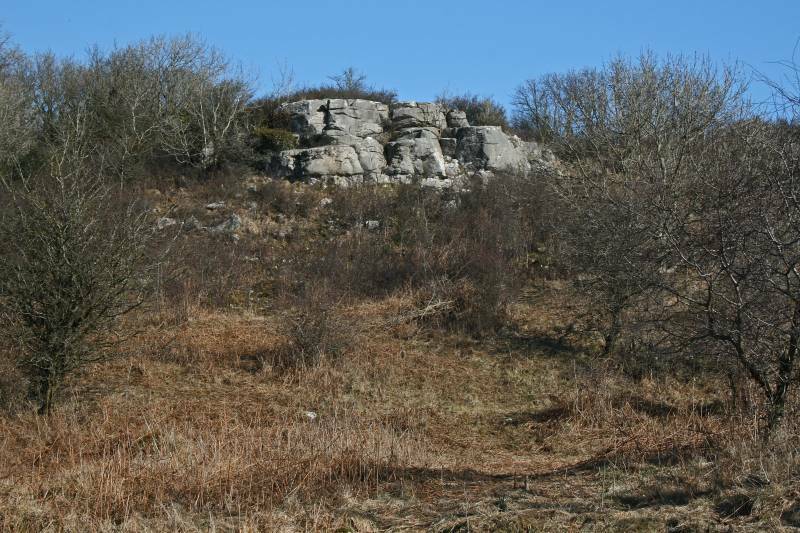 I ascended over the tarmac of Crag Road then between the dry stone walls in Occupation Road (track) to gain access to the slopes of Warton Crag. 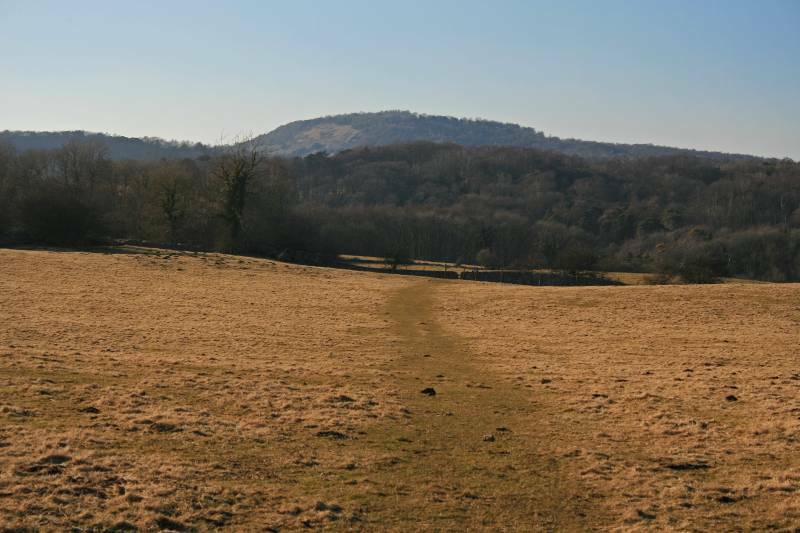 After a quick lunch on the summit I descended to the north through ancient woodland, pristine meadowland passing the Three Brothers to access the Coach Road. 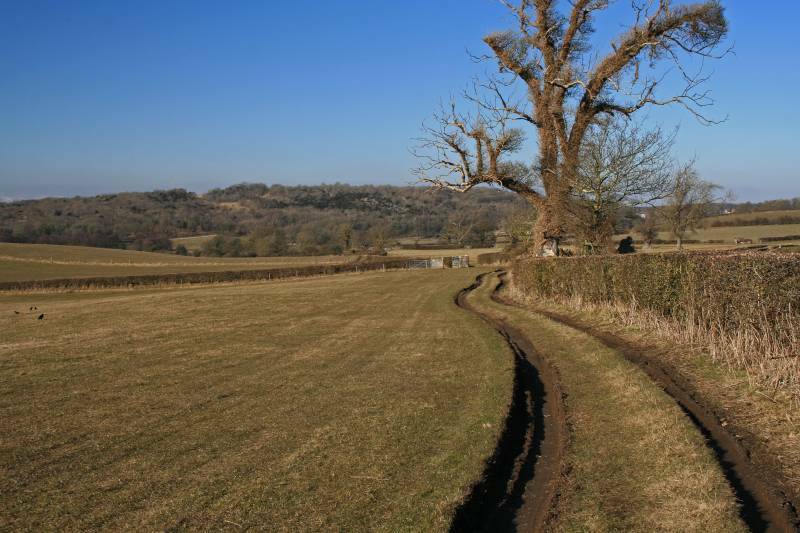 Somewhere along the tarmac of the Coach Road I stepped onto Peter Lane which I left after the entrance to Leighton Hall, my destination Summer House Hill. From Summer House Hill I descended to the right of Leighton Hall to be met by a fingerpost (the second on the right), following the path through the fields of Grisedale, above Laighton Moss I wandered, eventually stepping onto tarmac again at Yealand Storrs, left down the hill to enter Yealand Hall Allotment. Striding out through freshly coppiced woodland before descending on field paths to reach the shore of Hawes Water. 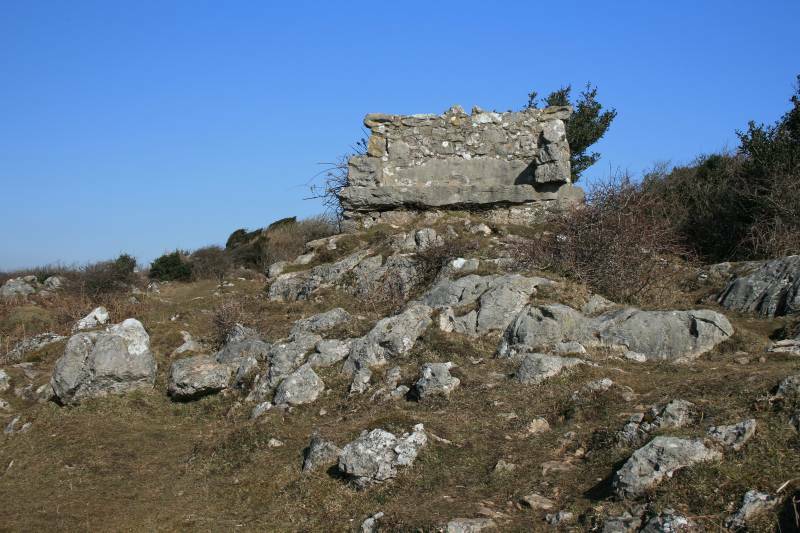 A short walk to Red Bridge then into Eaves Wood to visit an old friend the Pepper Pot, I descended through Elmslack to gain access to Cove Road, on reaching the cove, the tide was in forcing me to ascend Red Rake before crossing The Lots to enter the village. 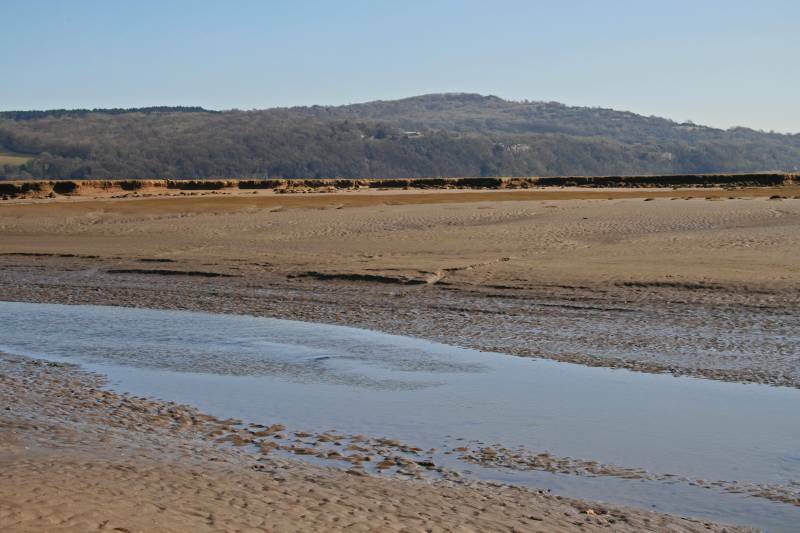 A stunning view across the vast expanse of shifting sand and mud flats. Tentatively picking my way along the cliff path, it's quite slippery today, with views to Jack Scout. Cows Mouth Cove and the cliffs of Jack Scout, Cows Mouth a strange name for a cove? 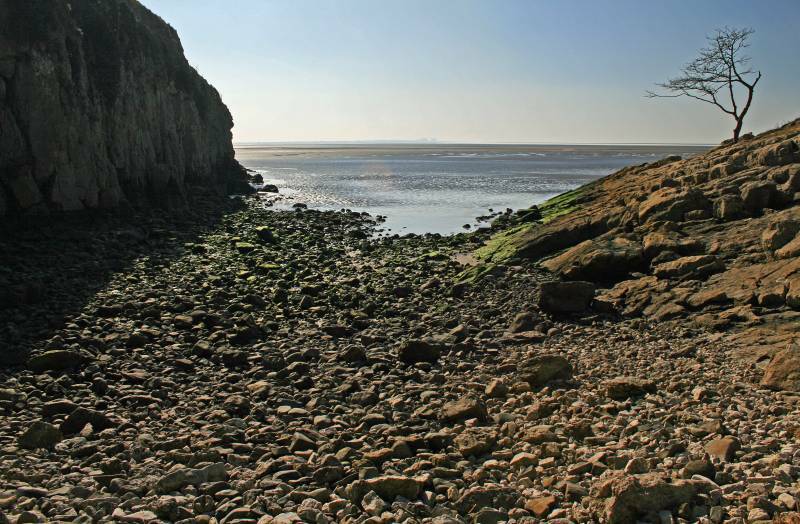 it's one of the few places along this coast where a breach in the cliffs allowed the cattle drovers from Ireland and Scotland to bring their beasts ashore after diving them across the bay, we're not talking a few cows here we're talking thousands driven through this narrow gap. On Jack Scout with the cove below me and stunning views to Grange-over-Sands stretched out before me. A good place to stop, the Giants Seat on Jack Scout. 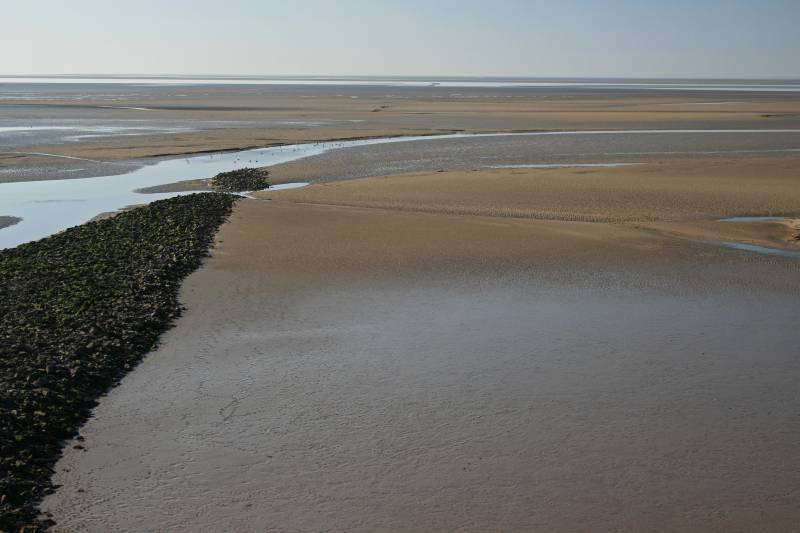 Fast disappearing under the shifting sands, the embankment stretches over one mile into the bay, the remains of an ambitious Victorian engineering project to re-claim vast tracts of land from the sea, stretching from Jenny Brown's Point to the slag heaps at Carnforth, 4½ miles to the south. 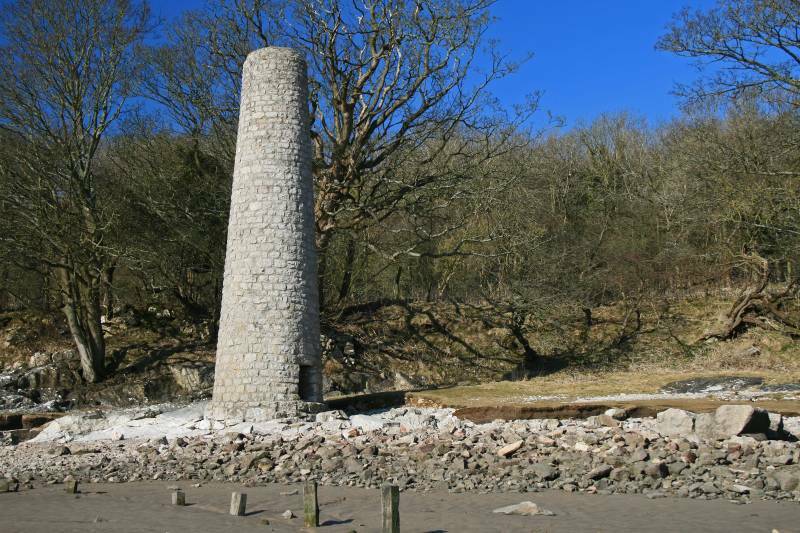 The Smelt Mill Chimney at Jenny Brown's Point, thought to have been used as a copper smelter, the chimney is considered to have been built in the 1790s when copper was in great demand. 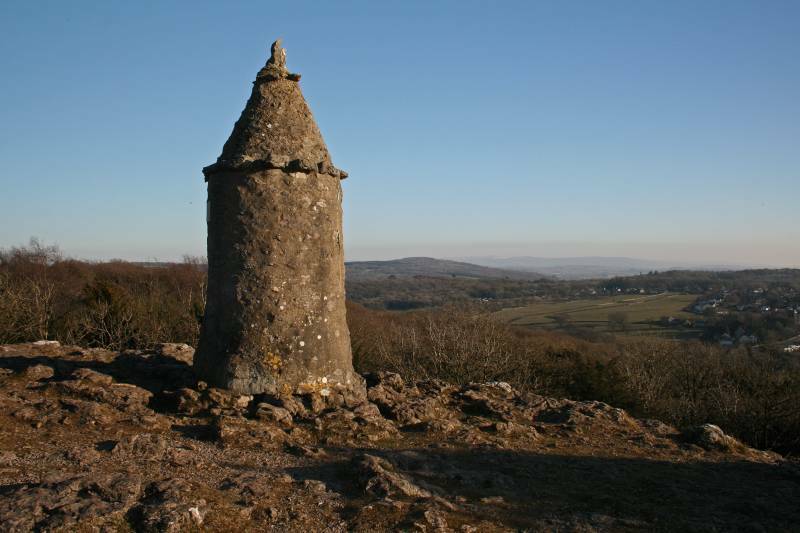 Yet to be reached, the highest point of today's walk, Warton Crag. 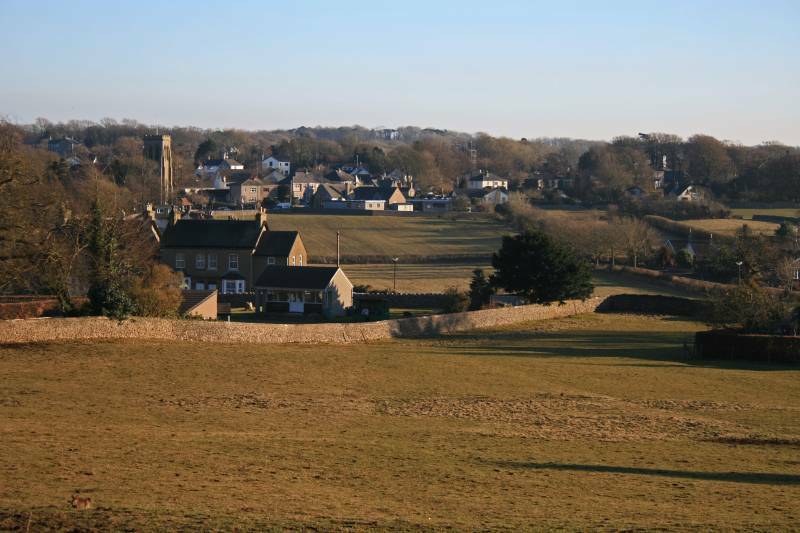 Gait Barrows seen from Crag Foot. Views back to Jenny Brown's Point, the high ground Heald Brow, if my head hadn't cleared I intended to make short return over it's summit. 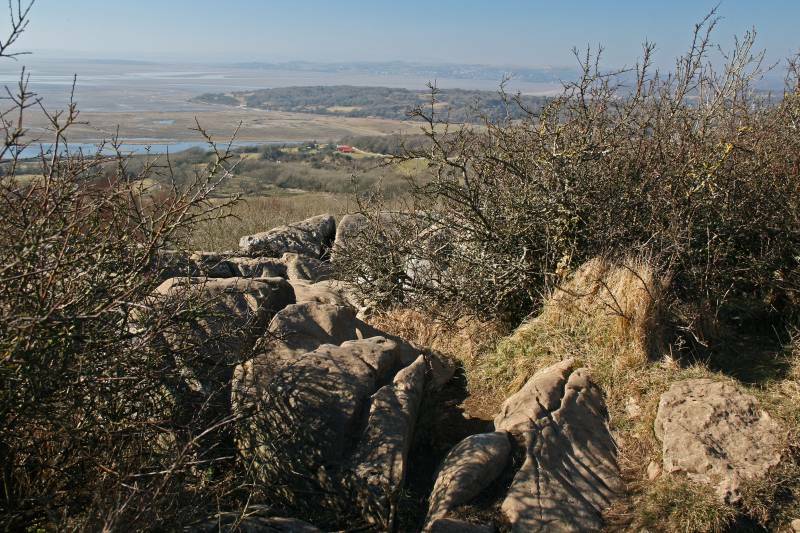 On the wonderful ascent of Warton Crag with splendid views over Arnside Knott to a hazy Lake District skyline. 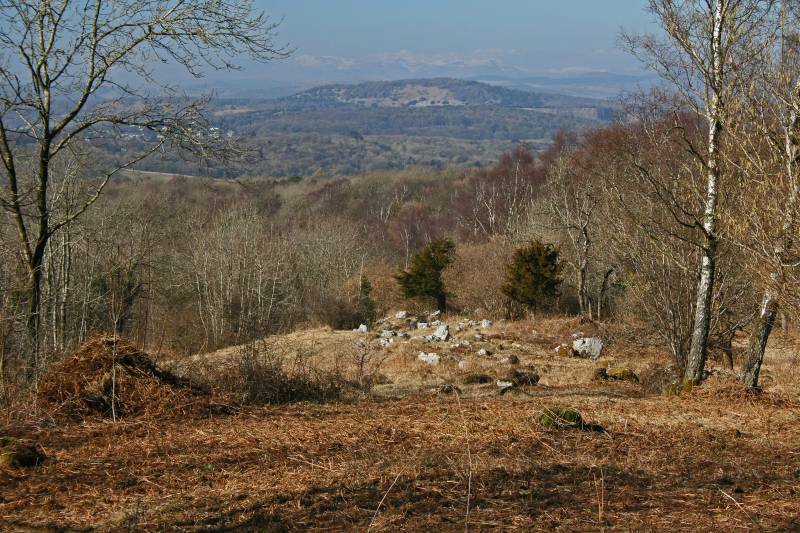 Viewing the summit of Warton Crag, those limestone blocks will make a great place to have lunch. My lunch stop with views back over a coast line walked earlier. 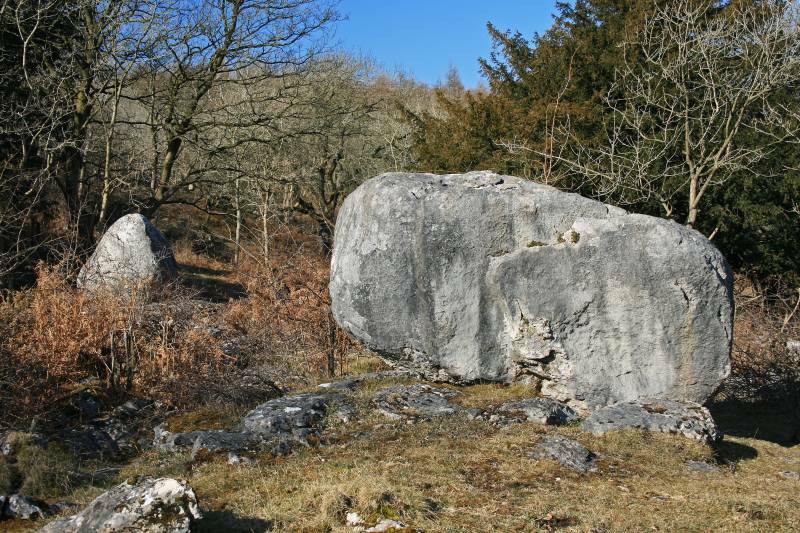 Two of the Three Brothers Rocking Stones, it looks like the one directly in front of me has rocked too far. 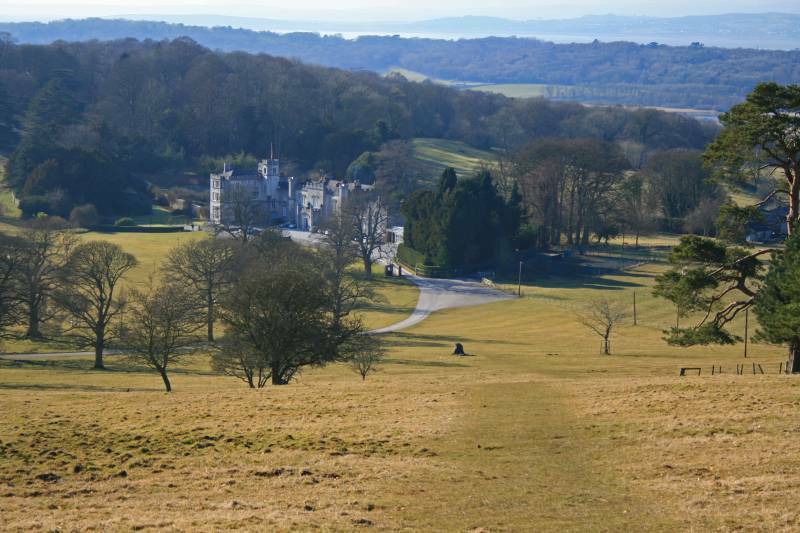 On Summer House Hill with always magical views over Leighton Hall. Heading through Grisedale looking to the heavily wooded slopes of Yealand Hall Allotment. 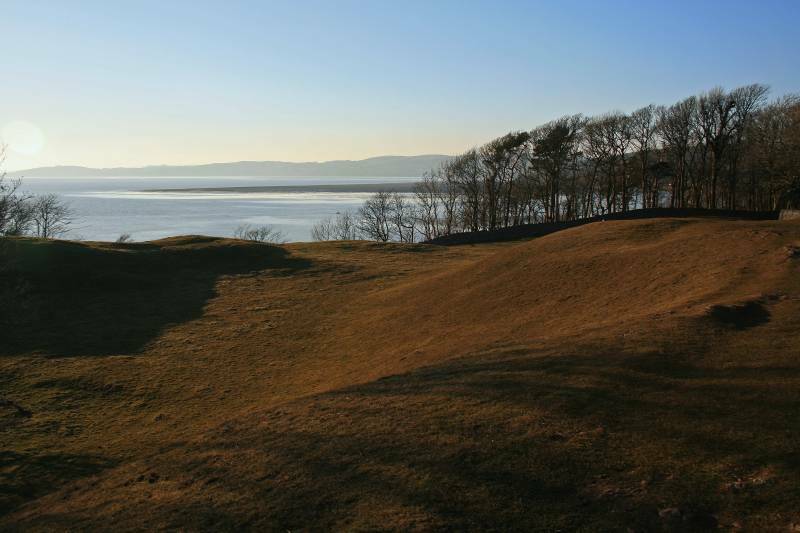 Descending to Gait Barrows and Hawes Water, with Arnside Knott rising above the trees. 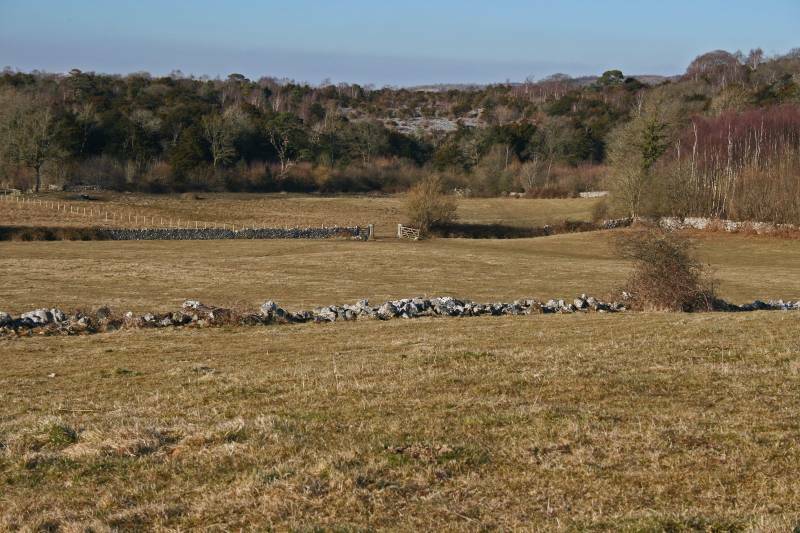 Looking to the limestone cliffs and mixed woodland of Gait Barrows Nature Reserve. 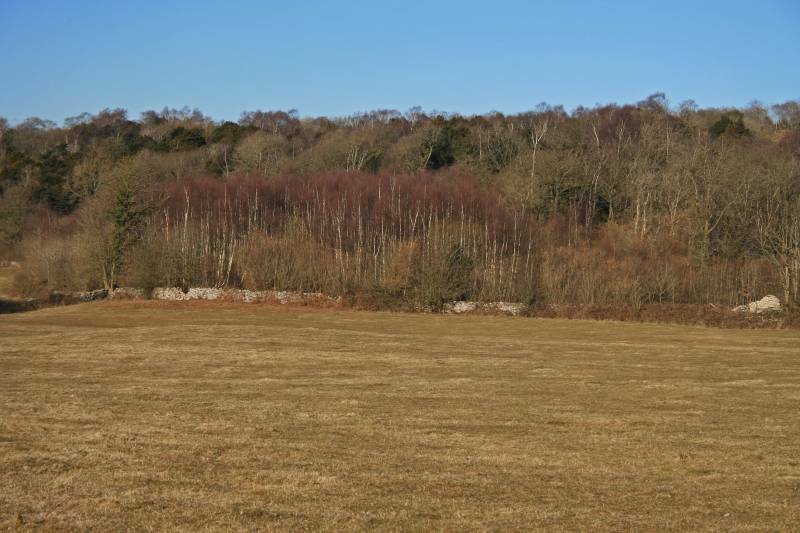 I included this shot because I liked the colours, the purple of the Birch woods in spring, an ice blue sky, with the dead grass after a long winter about to burst into life. 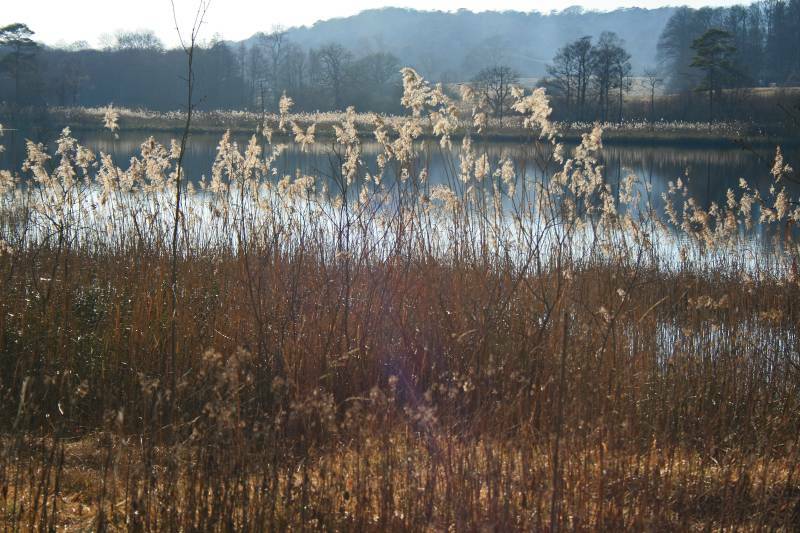 A natural lake Hawes Water, an enigma in limestone country as water nearly always goes to ground. The Pepper Pot always worth a visit, and today I've got it to myself. 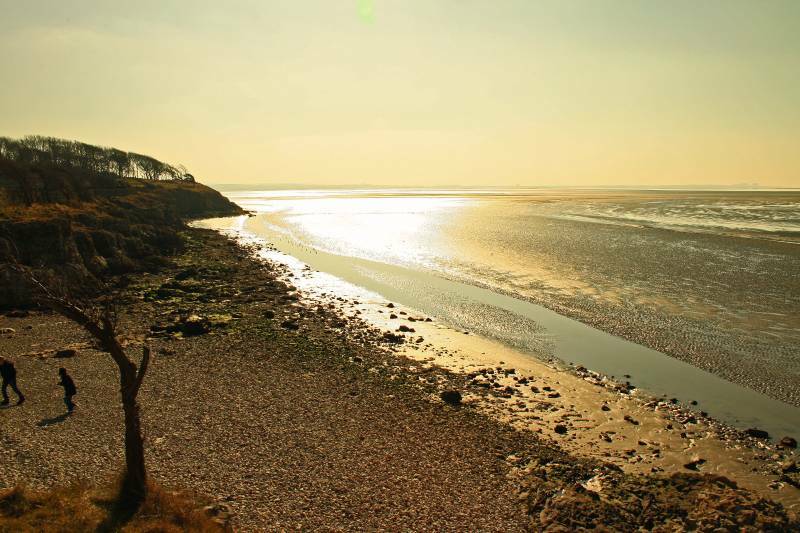 Taking my time wandering through Elmslack looking to Silverdale. 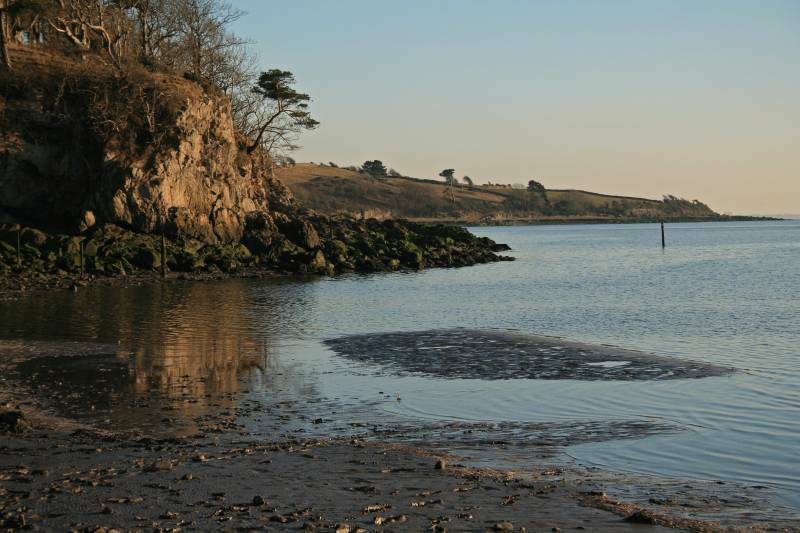 The ebbing tide at Silverdale Cove. 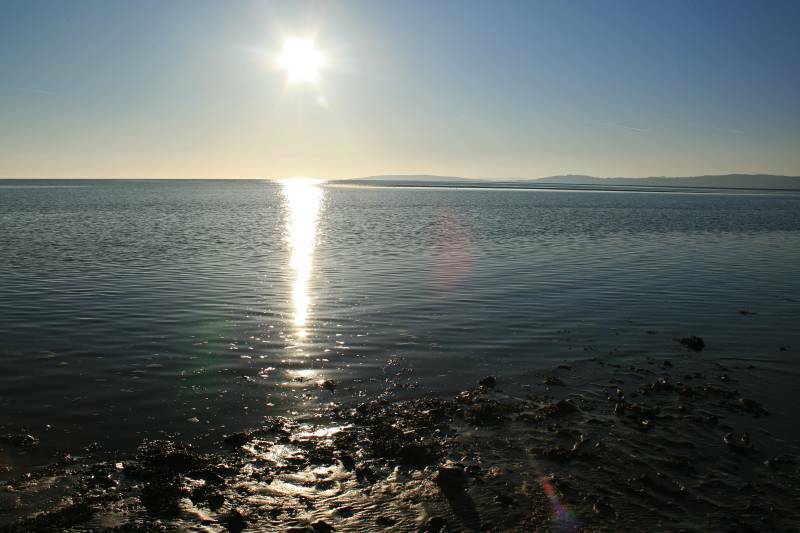 Seen from Silverdale Cove, Know End Point, rounded at the start of my walk this morning. 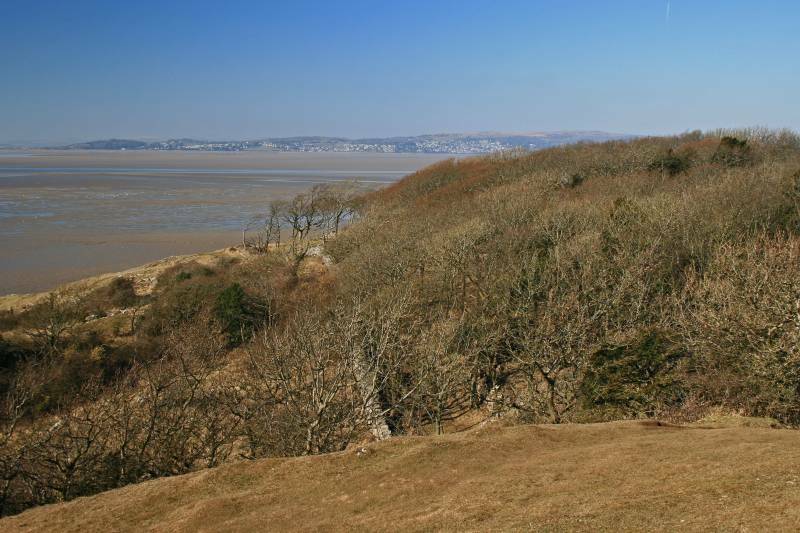 Stunning views over the Silverdale/Arnside coast, viewed from the top of Red Rake. 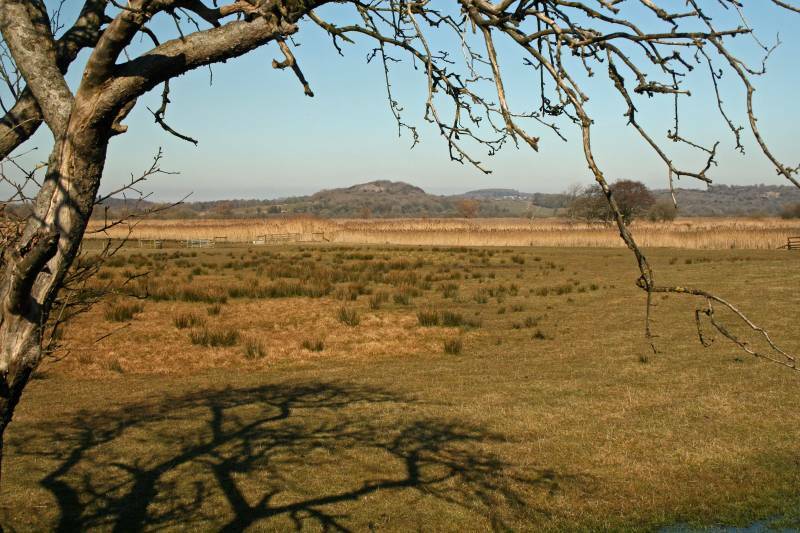 Seen from the rolling landscape of The Lots the Furness Peninsula. 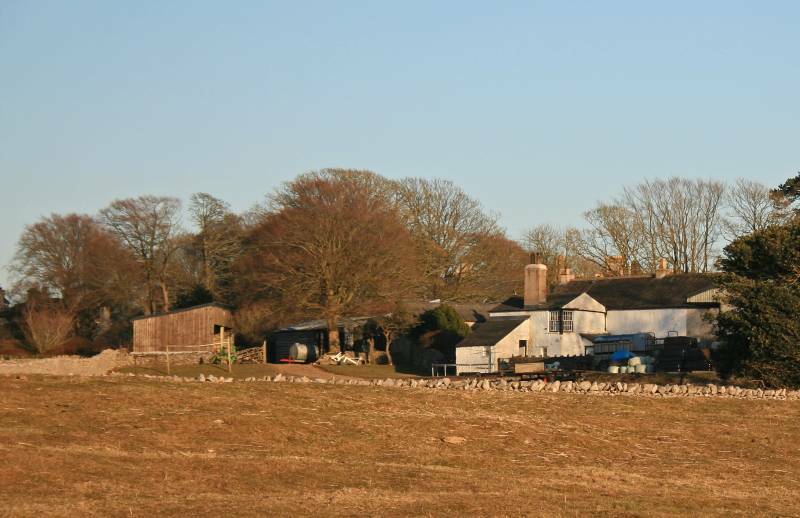 I was unsure about using this picture, it's rather cluttered, it's an interesting shot of Bank House Farm seen from The Lots. Here we have one of the few remaining examples of a Lantern Window, a lantern was lit and placed in the window to guide weary travellers to safety in times of storm as they crossed the treacherous sands of Morecambe Bay, all this in the days when Morecambe Bay was the main highway and life was cheap, the bay claimed hundreds of lives in the days before the roads were laid in the valleys.